Microsoft Chromium Edge also shows news feeds on the Startup page. If you don’t like it, learn how to remove it. The new Edge browser has lots of features which users find unnecessary and would like to remove them. We have already covered about one feature out of them in our previous post, i.e., How to Hide Favorite Bar in Edge Chromium. Edge browser on the Startup page shows Suggested news articles accompanied by Most visited sites. Now the users who want to keep themselves updated with what happening in the world, find this feature handy. On the other hand, some users find it highly distracting. Removing ‘Most visited sites’ in the Edge browser is possible. For that, click on the Three lines icon on the Startup page. This will open Choose your Layout menu and from the list select Custom. Here, you can move the slider for “Show most visited sites” to Off position. On the same menu, there’s an option with a name “Show feeds on Scroll.” With default settings the feature is active and the news feed appears when users scroll down. And hit enter. This will highlight the “Enable using the Microsoft Edge local NTP” flag with yellow color. Using the drop-down change flag setting from Default to Enable. Note: After you activae the flag, the hamburger icon for Choose your layout will be gone. So if you also want to hide Most visited sites, then make sure turn it off before activating it. Click on the Relaunch Now to apply the changes. 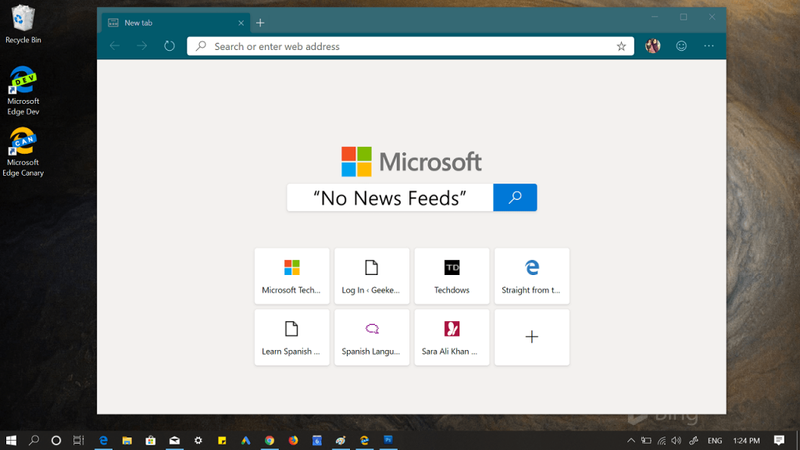 After you relaunch the browser, you will notice that Microsoft News Feed is not visible on the Startup page. At any point, to get back News feed, reverse the process. 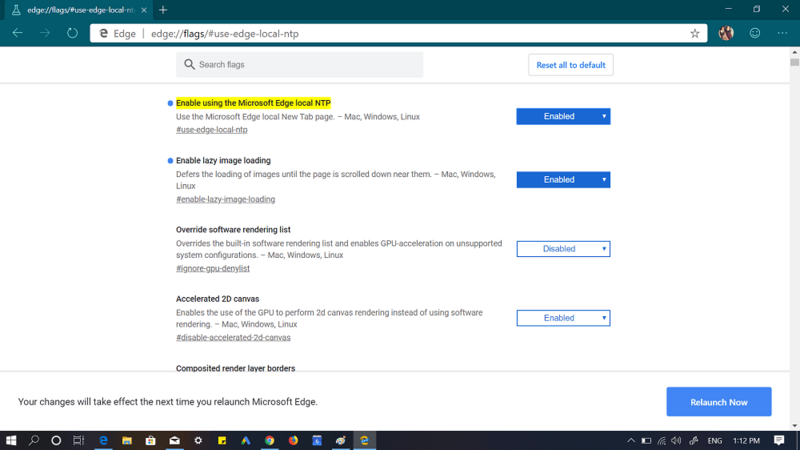 The Classic Microsoft Edge has the option to remove news feeds in the browser settings, so it expected that the company would add the similar option in Stable version of the Chromium-based Edge browser. Find this blog post handy? We would love to hear from you in the comments.